Born in the Fashion Capital of New York City. ZaQuan has always found himself positioned in front of the camera. Since stepping into the limelight of becoming a Professional Model. He has set the industry ablaze with his incomparable physique and electrifying presence. His knowledge of the industry has quickly allowed him to become the leading Authority of Fashion! ZaQuan has proven that his talents reaches further than any Runway or National Ad Campaign allows. By being the Founder/Owner/CEO of his own multi-faceted company. 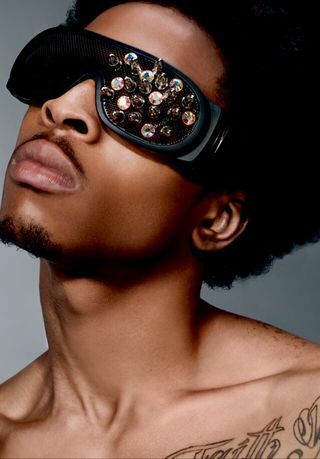 ZaQuan's voice has allowed him to become the Advocate for the youth/young adults by promoting self love and awareness.ZaQuan has just "scratched the surface" of the Modeling Industry. However, with that being said he is a force to be reckoned with in front of and behind the lens!